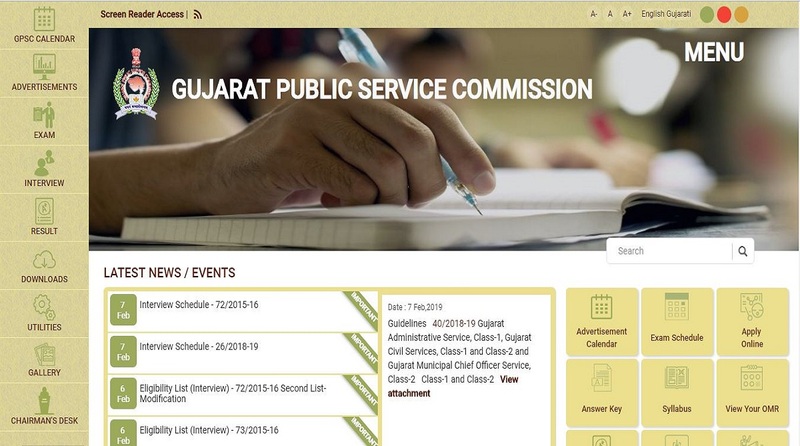 GPSC recruitment: The candidates should download the admit cards from the official website-gpsc.gujarat.gov.in. GPSC recruitment: The Gujarat Public Service Commission has released the admit card for Administrative and Civil Service main examination. The candidates should download the admit cards from the official website-gpsc.gujarat.gov.in. The Preliminary examination was conducted on October 21, 2018 and the Mains examination will be conducted on February 17, 24 and 3, 2019. The recruitment drive is being organized to fill 294 vacancies. • Check all the details and download the admit cards for future reference. Direct Link: The candidates can directly click on the link here to download the admit cards. The candidates will not be allowed in the examination hall if they do not carry the admit cards with them.